When Milton Hershey envisioned the ideal American community, his thoughts turned to the sweetest of ingredients: chocolate. 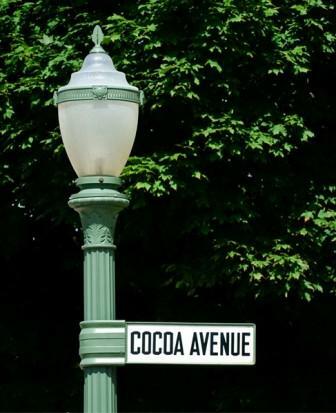 After all, what’s not to love about a town where every avenue beckons the palate with tantalizing street names such as Cocoa, Chocolate and Reese? A simple drive down Hershey’s main thoroughfare incites your taste buds to water as the rich, sultry scent of melting cacao wafts through the streets, and streetlights are housed by the silvery sheen of a Hershey’s kiss. It’s not all about the chocolate, however. Hershey is a town rich in a variety of ingredients, from its tourist offerings to its local community. It is home to the Hershey Gardens featuring 23 acres of botanical themes; ZooAmerica with over 200 North American animals; the Antique Auto Museum with nearly 100 automobiles on display; Giant Center Stadium where hockey season regularly features the Hershey Bears; the Hershey Theatre where classic films and touring Broadway shows can be seen year round; not to mention the museums, Chocolate World, HersheyPark, Hershey factory tours, the Hershey Hotel and Chocolate Spa and of course, the infamous yellow-and-green trolleys. Nestled among farms and woodland, it still manages to maintain an aura of idyllic nostalgia for days gone by as well as retaining its small-town feel and community values. In Hershey, you may come for the chocolate, but you’ll leave feeling a sweet sense of fulfillment, richer for an experience in culture, family and history.